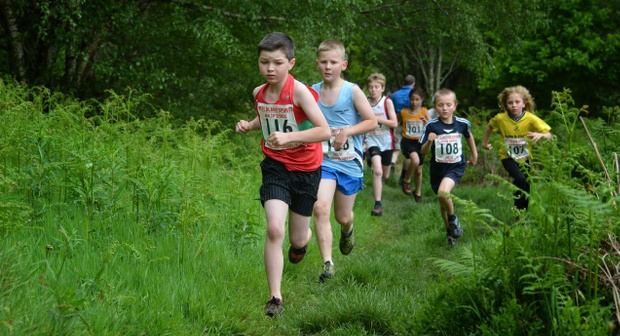 Well done to our junior fell runners who are now FOURTH nationally in the fell Championships. Full report on the junior pages. From Will Buckton... I headed to the Lakes for the first time in a while to take part in the first race in the Lakeland Classics 2014. The spectacular route, starting from Seathwaite, takes in 29km and 1830m ascent including the summits of Little Stand and Swirl How. I finished 26th in 3h38:37. Simon Harding of Macclesfield won the race in 3h00:12. 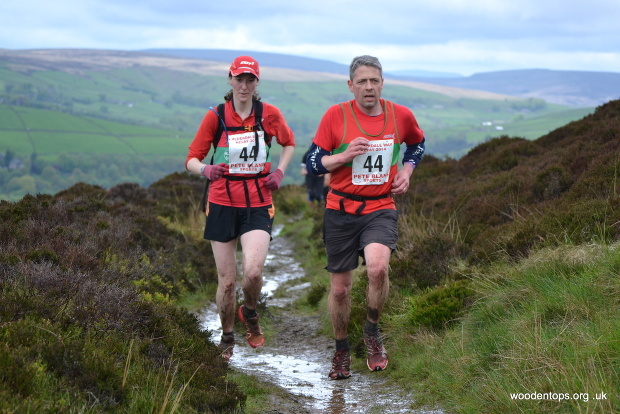 Lots of good reports on our eighth Ilkley Trail Race (just see the Twitter feed), well done to Lawrence and the team. There was a very good turnout of Harriers in the biggest field since 2009. 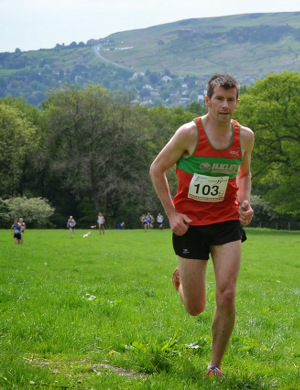 Will Buckton reports ... Tom Adams recorded a sixth successive Ilkley Trail Race victory, beating his own 2011 record in wet and muddy conditions. Tom galloped to victory, leaving a gap of almost six minutes to second placed runner Gareth Hird of Wharfedale. Martin Archer returned from a lengthy injury in a blaze of glory, finishing 5th and helping Ilkley to the team prize. From Rachel Websdale ... A huge thank you to all the helpers and marshalls who made the junior races possible. A record turn out of over 100 children. It seems kids just love running in the mud and every child who finished a winner with extra prizes for the muddiest ! Apologies to all those parents faced with very dirty kit - it was worth it to see all the smiling faces. From Clare Smith Neil and I completed the LDWA annual 100 mile event this weekend in the valleys of South Wales, coming in 42nd out of 255 finishers after 33 hours and 39 minutes. Weather and underfoot conditions were dreadful and I understand that at least half of the 487 starters retired, so I was just pleased to finish! Sally Morley's time equals Amanda Oddie's ladies' and LV35 Club record, set at Horwich in 2006. From Petra Bijsterveld ... Five Harriers, all women, traveled to Ripon this morning for the 10 miler. A very scenic but hilly course taking you around Studley Royal and Fountains Abbey, mainly on good trails and minor roads. 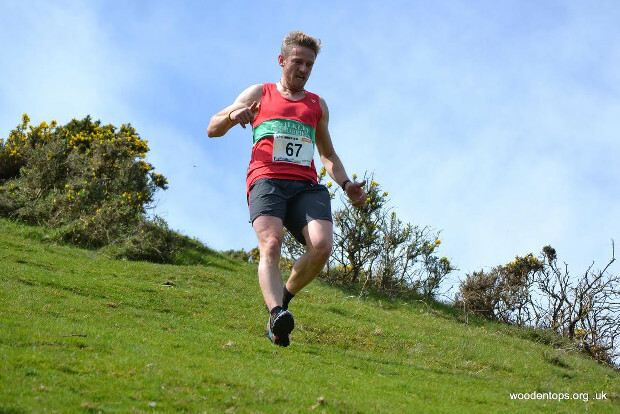 It was very tough going in the heat and I was substantially slower than last year, but some of the more intrepid runners were not so easily put off and achieved good finishing times. I would recommend this race, and the tea and home-made cakes at the pavilion are a real bonus at the end. Some top junior results too: Euan Brennan 2nd U14, Max Bradley 3rd U12, and more. From Helen Waddington... A well organised and (for me at least!) challenging 10k through beautiful woods, trails and fields on a perfect morning . . .
Nicky's time is a new ladies' Club record, not only beating Sally Morley's LV40 record of 36:57 from last year's Abbey Dash, but also beating Sarah Jarvis's LV35 and ladies' record of 36:34 from Middlesex in 2008. From Fiona Schneider ... Well! That was a first. Not a half marathon or a Leeds half marathon but sitting on a pavement mid race for 25 min attending a collapsed lady until the ambulance arrived. The paramedic was great but took about 15 min to arrive so it was fortunate poorly lady from Leeds was feeling a lot better by then. In my head I had abandoned my own running at this 8.5 mile stage. (I was heading for the wrong side of 2 hr with 63 min on my clock at half way.) But of course, no-one was going to give me a lift. So ensuring the lady was recovering in expert hands I set off again. Running did not flow easily at first but then I got it! I was doing what I had never done! Reel in nearly every runner on the road! I could get to like that! From Clare Smith and Neil Chapman ... thank you so much to all the wonderful Harriers who gave their time, effort (and sandwiches!) to help make tonight's first event in the Harrogate District Summer Race League a success. Results, with a win for Tom 28 seconds clear of 2nd place! Nick Pearce's time beats his own V60 Club record of 19:11, set at John Carr last year. George Elmes reports ... with junior Ilkley Harriers currently an impressive 5th in the English Club Championships, SIXTEEN travelled across to Mytholmroyd for round 3 of the Championships looking to maintain our early form. Some fabulous results - see the full report on the junior pages. Photos from the Woodentops and Graham Weston. From Jim Ryder ... The senior Coiners race was run outright by Katie Walshaw, Holmfirth Harriers, 54:48. I came in 24th in 1:00.59. 127 ran. A great route up and around Stoodley Pike, with a friendly atmosphere and great views.